Imagine I gave you £50 and asked you to share it with a stranger. You get to decide how much you want to keep for yourself and how much you give to the other guy. The catch is the other guy has to accept what you offer them or you both walk away with nothing. This is called the Ultimatum Game. In partnership with researchers at City, University of London and Populus Data Solutions, house51 asked more than 2,000 UK adults to play a hypothetical version of this game. The results tells us some interesting things about the psychology of voters in the EU referendum and their attitudes to fairness. So, what would you offer? How much of the £50 would you demand for yourself, and how much would you give to the other player? What if the situation is reversed and you’re on the receiving end? What offer would you accept? Standard economic theory says the ‘rational’ thing to do is to offer the smallest possible positive amount (e.g. £1). Similarly, a rational person on the receiving end should accept any offer no matter how small. That’s because a rational utility maximiser will always conclude that ‘something is better than nothing’ and they will expect the other person to think the same. How many people do you know like that? I bet it’s not many. If you would offer £25 then you’re in company with 88% of UK adults who would do the same. If you would reject any offer less than £25 then you are the same as 55% of UK adults who would rather both parties walked away with nothing than accept an unequal share. People act a little differently when they are playing the Ultimatum Game for real stakes in the lab. But the basic pattern is similar across hypothetical and real stakes games. The Ultimatum Game provides strong evidence against the existence of homo-econimicus. In the real world fairness and inequity aversion are strong drivers of behaviour. 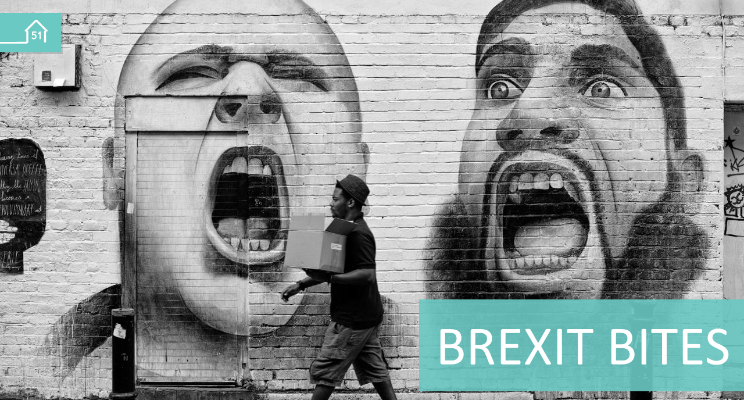 So what can behavioural economics and the Ultimatum Game tell us about the behavioural psychology of the Brexit vote? Clearly the EU referendum increased the salience of economic inequality in the UK and intensified competition between those that have been ‘left behind’ and a ‘metropolitan elite’ who have prospered. In our version of the Ultimatum game, 61% of Brexiters reject unequal offers. This is significantly higher than Remainers (61% v 49%, p < 0.01). But our data suggests that the media stereotyping of ‘irrational’ Brexiters and ‘rational’ Remainers has been exaggerated. Look out for another ‘bite’ on fairness and the Dictator Game soon. Participants played a hypothetical version of the Ultimatum Game as part of a wider survey designed to examine the psychology behind Brexit. It was conducted by house51 in collaboration with City, University of London. Fieldwork was conducted online by Populus Data Solutions with a nationally representative sample of 2,065 UK adults, Data was collected in August 2016.